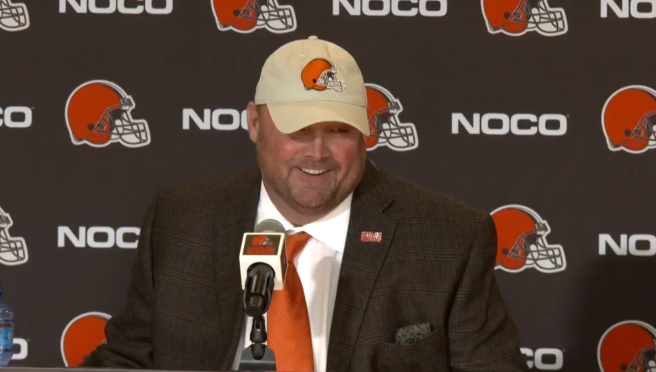 The Browns introduced Freddie Kitchens as the team's new head coach on Jan. 14, 2019. Pluto said Browns General Manager John Dorsey isn't afraid to take chances. So far, they've all clicked -- most notably the drafting of rookie quarterback Baker Mayfield. Pluto said he believes hiring Kitchens as head coach is a good move, despite his lack of head coaching experience. Kitchens spent 11 seasons with the Arizona Cardinals in various coordinator roles. He was announced as the Browns' running backs/associate head coach in January, 2018, and was promoted to offensive coordinator in late October. Pluto said Baker Mayfield was a big factor in Dorsey hiring Kitchens. "At the very least, the Browns have a pretty good quarterback with a chance to be much better than that. So therefore, you want to make sure he keeps going in that direction and that happened when Kitchens took over as offensive coordinator. He and Baker seemed to put together a bond and in the second half of the season, Mayfield was a top-10 quarterback in the NFL." "What they decided to do is keep Kitchens and then support him with some veteran assistants around him," Pluto said. Pluto said another factor that landed the job for Kitchens is his ability to unify the team and collaborate well with Dorsey. While Kitchens isn't a household name in the NFL, his personality is making a mark on fans. He's known for always wearing a Browns ballcap and his "Dawg Pound" sweatshirt on the sidelines. He's known to speak his mind and have fun with the players. And, during his press conference, he said he's not going to change. "He grew up in Gadsden, Ala., but his dad worked for Goodyear. Freddie for a while was selling cars and washing trucks for a while for a living. This was a guy who was the top high school player in the state and played quarterback at Alabama for three years. One thing he did say that playing quarterback for Alabama is that you get used to being criticized." 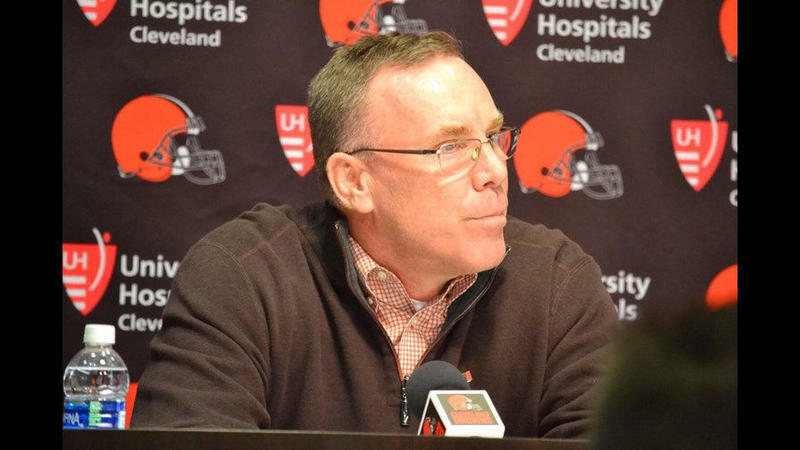 During the introductory press conference, both Dorsey and Kitchens said they weren’t pleased with the team’s 7-8-1 record, despite the remarkable turnaround. “They’re aiming high, and I think we’re going to be moving into a different set of expectations around the team.